Pittsburgh’s Premier Photographer Specializing in weddings. In addition to weddings, we excel in all types of events; senior portraits, trade shows, family portraits, etc. with the purchase of an all-day wedding photo package with Studio V Productions. 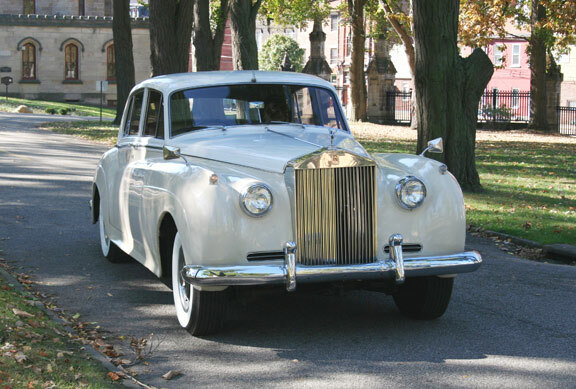 After the ceremony and formal pictures, the Rolls Royce will be your bridal car for more pictures and then off to the reception in ultimate class and luxury. 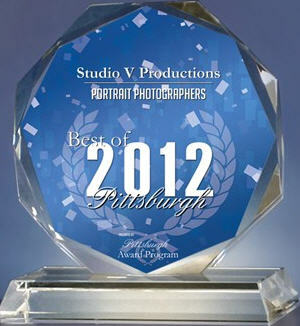 Studio V Productions has been selected for the 2012 Best of Pittsburgh Award in the Portrait Photographers category by the Pittsburgh Award Program. Various sources of information were gathered and analyzed to choose the winners in each category. The 2012 Pittsburgh Award Program focuses on quality, not quantity. Winners are determined based on information gathered both internally by the Pittsburgh Award Program and provided by third parties.